I often enjoy watching Jon Stewart's The Daily Show. Recently he took on the topic of "Smart Gun" technology and does a pretty good job of reporting and making it funny. See for yourself. Thank you to all who serve, served and to those that gave their lives. I like to celebrate Memorial Day by giving thanks to our founding fathers who saw fit to protect our right to free speech and to bear arms. The people ARE the militia. And now, here are some girls... with guns. 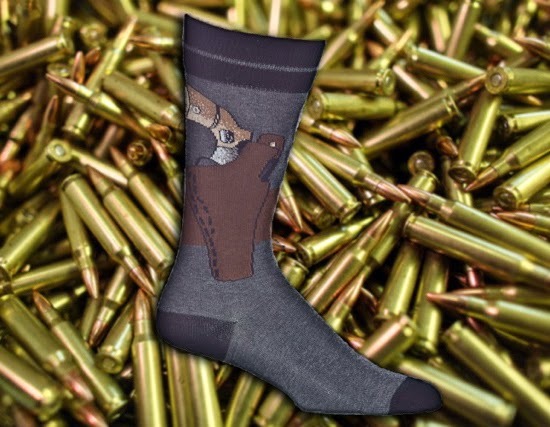 Gun Socks - Uber Cool! 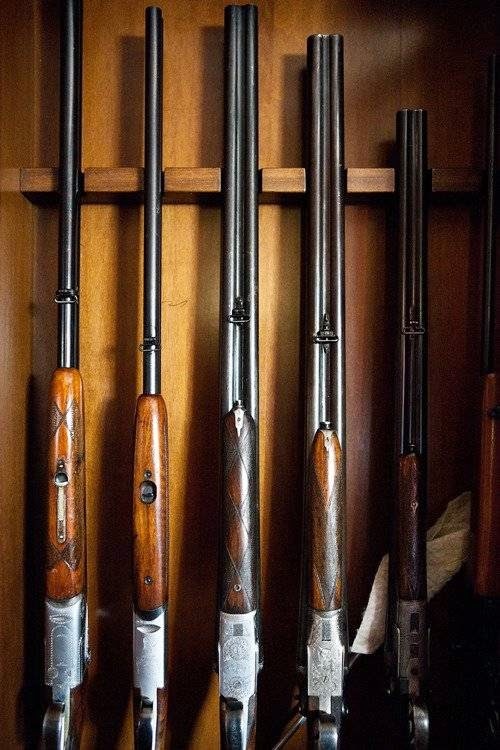 Check out these gun socks offered up by Tapiture. Just a quick video I cobbled together from the Live Fire Exercise which was the final test before graduating from Advanced Leaders Course Class 029-14 at Fort Sill, Oklahoma Fires Center of Excellence - Field Artillery School. Graduated with "Exceeds Course Standards" on my evaluation DA Form 1059. Packed and headed back to Korea. 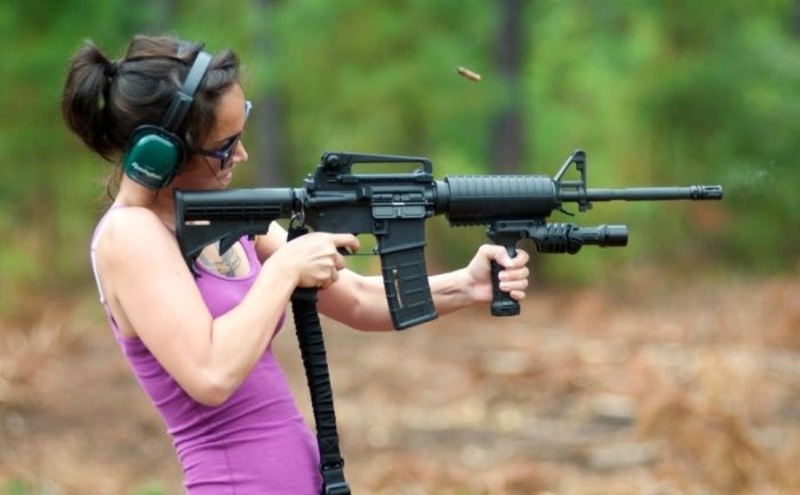 I think this girl needs a little more (and better quality) instruction before she shoots a hand gun. This is how accidents happen. The USDA is Soliciting Bids for Submachine Guns. Why? This is really alarming. 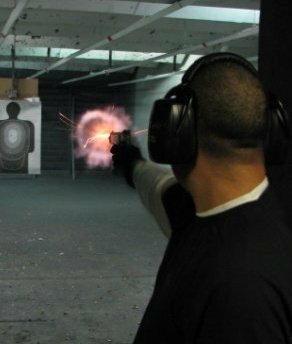 Why in the world does the USDA need submachine guns? This is the USDA, you know, the agency that grades our steaks. A Dilemma... I Love Chipotle! Chipotle asks customers to leave their guns at home. Boycott? Two armed men walked into a Waffle House in South Carolina intent on robbing the place. They ordered everyone to the floor, meanwhile, a concealed weapons permit holder is seated at the counter, when he sees an opportunity, he draws his weapon, shoots and kills one of the armed robbers, scuffles with the second armed robber who gets away but is later captured. Watch this video. I was almost beside myself when I heard the cousin of the armed robber who was killed say that her cousin didn't have to die because the concealed weapon permit holder wasn't in immediate danger. Really? Excuse me, but if I'm eating in a restaurant, and two armed men walk in to rob the place, with guns drawn, that IS immediate danger, it's more than reasonable to feel my life is in danger as well as the lives of the other patrons. During my short "career" in the army, there's only been one Sergeant Major who never hesitated to take the time to talk to his soldiers one on one, in a personal manner. SGM Nolen always MADE the time, and to this day is still the only SGM I've served under who took the time to mentor me in such a manner. Upon learning of my TDY at Fort Sill for Advanced Leaders Course, he invited me out for a coffee, I figured we'd catch up on old times and that would be that. It should have come as no surprise that instead of sitting down for coffee and conversation, he instead took me out for an amazing day. He taught me how to set a foot trap, we rescued a turtle, we checked all the hog pens and we finished off the day with a nice lunch at the home of one of his former First Sergeants. Oklahoma is a fantastic state for outdoor activities including hunting and fishing. A big thank you to SGM Nolen for spending the day with me. It was a much welcome break from my ALC class. I'm also without a rental car so I'm stuck at the hotel most of the time. I've got some video of the coyote we took care of however I'll have to wait to upload it due to the extremely slow internet speed here at the hotel.